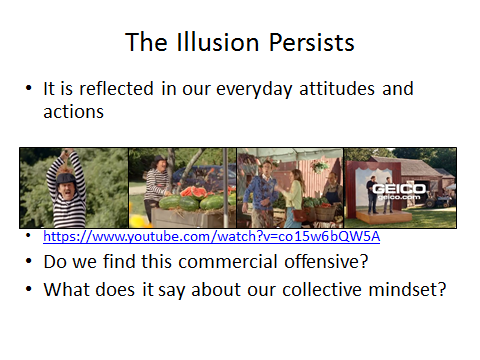 Has anyone seen the Geico ad in the attached link ( https://www.youtube.com/watch?v=co15w6bQW5A )? It shows a mime destroying fresh produce with great joy, while bystanders (splattered with the ensuing waste) mention “that was uncalled for” and “wasteful.” I couldn’t agree more. A fair question would be “What does destruction of food at a farmer’s market and commentary about low carbon footprint have to do with car insurance? But that’s a separate topic. I agree with the comment from an actor in the clip: “wasteful.” At a time when 50 million Americans (and nearly one billion across the globe) are hungry – and 2 billion on the planet suffer from micronutrient deficiencies – an Ad which sees blatant destruction of high quality food as a joke to sell more car insurance is, to say the least, off base. Callous is a better term here. The subliminal message, which gets picked up by millions of people (especially the young), is that it is OK to joke about the waste of highly nutritious food. This is completely the wrong message to send given the hunger and nutrition statistics mentioned above, and given the fact that the world faces the challenge of feeding 9 billion people in about 35 years. Organizations have reviews and controls to vet such materials before they are released. Geico completely missed the mark here; this Ad is an example of poor control and compliance work. This should drive customers away, not attract them.